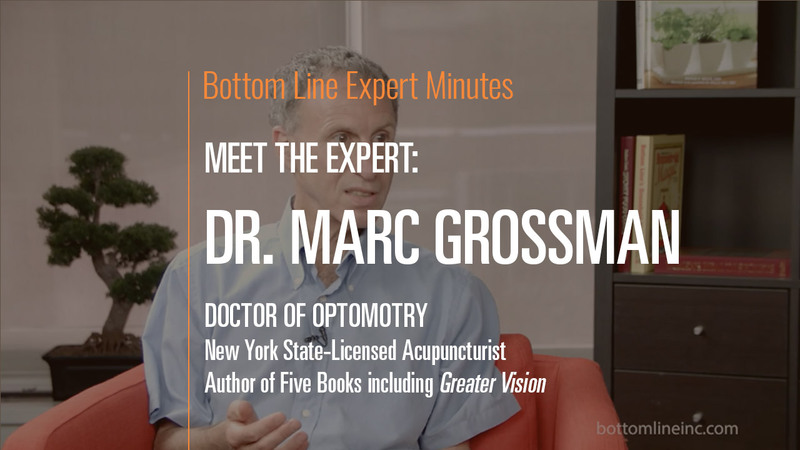 In this video, Bottom Line Inc President Sarah Hiner introduces Marc Grossman OD, LAc, and holistic developmental/behavioral optometrist and licensed acupuncturist, and his holistic approach to eye care. Dr. Grossman emphasizes treating the person beyond the eye symptoms—he focuses on more than just the eyes. He often includes diet and lifestyle interventions, whole-body exercise, herbal supplements, diet and acupuncture in his treatment plan. Dr. Grossman received his training in acupuncture 16 years after becoming an optometrist and uses his skills in this discipline to further examine the body as a holistic system and determine what is causing the patients’ eye issues. Ultimately, Dr. Grossman says, his job is to help people take care of the precious gift of sight using all of the modalities available to him.